at First Presbyterian Church of Philipstown. ​at 10:30 am. All are welcome! ​The Sunday morning service gives us time and space each week to be warm and welcoming, thoughtful and mindful, creative and joyful, meditative and spiritual. Everyone is invited to take communion with us on the first Sunday of every month, and every Sunday during Lent. Music and the arts inspire us each week, and especially during the Christmas and Easter seasons. * Nursery Care: TLC for the littlest ones. * A Children's Sermon: Loving life lessons. * Sunday School: Bible stories and much more. ​* The Goat Bank: Collecting quarters from grown-ups to support our children's mission to buy livestock for families in need around the world! There are more opportunities for adults and children to learn and grow in faith at FPCP! More info here at FPCP Education. from 7 am to 8 am each Wednesday morning. We share readings, silent meditation, prayer, and discussion. This group is open to anyone. Simply walk in to try this experience. please ​email the church office at 1presbyterian@gmail.com or call 845-265-3220.
featuring professional jazz musicians, including talented Philipstown friends and neighbors! Vespers is an ancient service of evening prayer, practiced by many denominations. The word comes from the Greek ἑσπέρα (hespera), and the Latin vesper, meaning "evening." The concept of Jazz Vespers originated in the 1960s in New York City. It was designed as an outreach program for people seeking an alternative to early Sunday morning services. plus the night-owl music-lovers who stay out late to listen to them play! 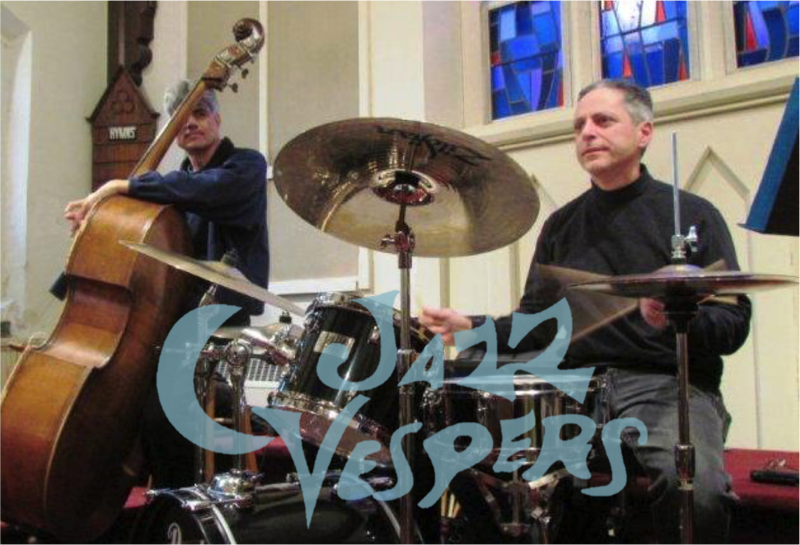 Jazz Vespers can include prayer, meditation, and spoken verse along with live jazz. in a modern, creative, informal, and multisensory way. email the church office at 1presbyterian@gmail.com or call the church office at 845-265-3220. A labyrinth is a meditative walking path, a practice that dates back to Ancient Greece. Labyrinths are created using old and sacred geometry. and a journey to the heart of God. When we walk this labyrinth, we walk from the outer edge to the center, and back again. A labyrinth is not a maze. There are no blind alleys or dead ends. You cannot get lost, or make a mistake. Follow the path and you will find yourself at the center of the Labyrinth. And you will always return to the place where you started. Several times a during the year, our church hosts a Labyrinth Walk which is open to the community. We use a 24-foot square canvas labyrinth provided by our labyrinth facilitator, Lynn Brown. email the church office at 1presbyterian@gmail.com or call 845-265-3220. FPCP is a beautiful and reflective place to find comfort and joy during Advent and Christmas. with traditional and contemporary music of the season. Each year, the youth in our congregation create and perform a Christmas Pageant. for ourselves, our families, and our world. Join us for our annual Lenten Journey to Holy Week and Easter Sunday. Communion is served at every Sunday morning service during Lent. We welcome our community to special services include Ash Wednesday and Maundy Thursday. Our Chancel Choir and guest artists inspire us with traditional and contemporary music. Each year, the youth in our congregation create and perform an Easter Pageant on Palm Sunday. Our Easter Service is a joyous celebration of hope and faith. an annual treat for the youngest members of our congregation.